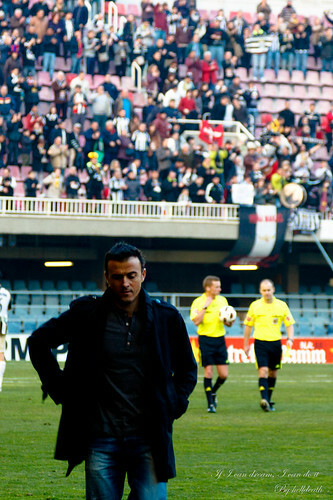 It looks like the new coach for As Roma is all but clear after the strongest candidate, Luis Enrique, himself has confirmed his decision of taking the job offer from the capital club for next summer, rejecting another proposal from Atletico Madrid. The former Spanish international midfielder reveals that the agreement has been reached and all he need to do is put his signature on the contract which will be done in the next few days. Enrique explained that the ambitious project that Roma have is the main reason that convinced him in taking part with it because it pretty much suits his character, who always wants to win. Although, the former Barcelona B tactician is still a newcomer in professional football coaching, especially in a very tactical league such as Serie A, the Spaniard is very confident that he can build his attacking football method that will attract many people. Not only promoting his football style, Enrique also isn’t worry about crashing down in his first professional coaching experience as he wants people to see by the end of season to prove his worth before judging him. Moreover, the coach also hinted that he will try to lure several players from his Barcelona B squad to join him next summer, simply to make his job easier because having someone he trusted that can help him in practicing his tactics at Rome. “I’ll look to work with the best players, those who I will find in Rome and those who I’ll be able to bring with me from Barcelona,” the tactician added.